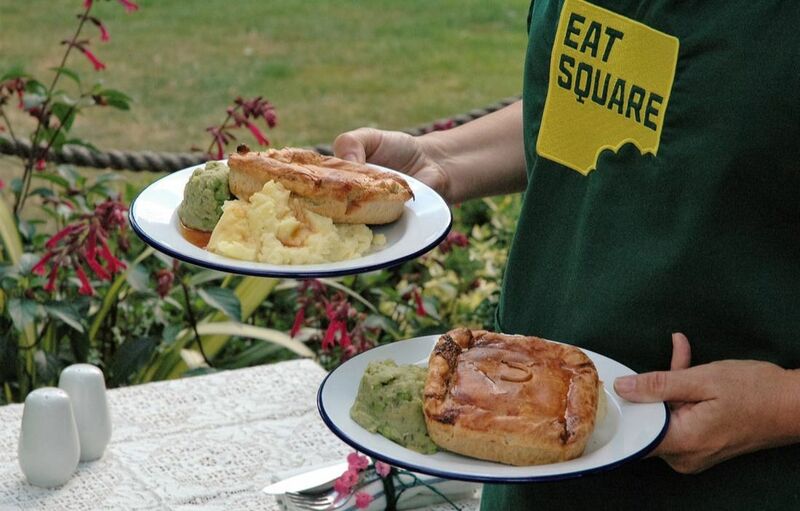 Eat Square Milton Keynes offer pie and mash weddings and catering services across the Midlands. Business owner Steve (pictured top right) is on hand to cater to your exact needs. Fill out the catering quote enquiry to get a price for your event or wedding. Based in Milton Keynes, Eat Square is ideally placed to service the whole of the Midlands. You can afford to give your guests a quality eat in the hand meal with prices per head from as little as £7. 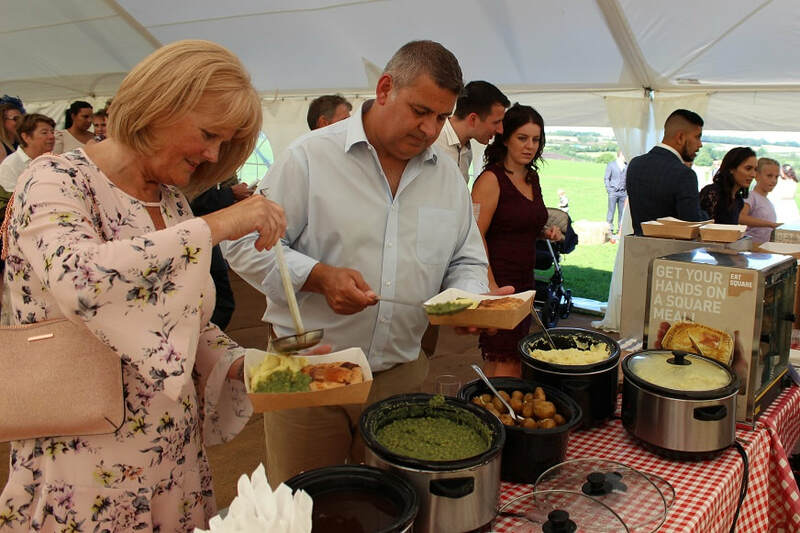 Sit down meals with pie, mash and gravy cost from just £10 a head which is why more people are looking to Eat Square to cater a wide range of events. Eat Square is particularly adept at serving large numbers of people with quality, tasty food in a short space of time. We can also work where there are no kitchen or catering facilities. We don't even need water and power if that is a problem. 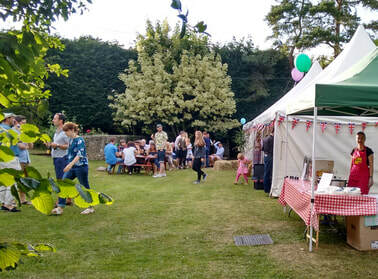 If you are planning an event, a private party or a rave in a field we, can help you. You can get in touch with us for a chat or to arrange for us to come to your home or venue to discuss your plans fully. More people are looking for quality no nonsense real food for their events. If you want to give your guests a good meal then catering by Eat Square is for you. High volume large events are easily catered and we can work in many challenging environments. For a fully bespoke service for your special occasion just get in touch through the contact page. Eat Square Milton Keynes attends markets and events across the region. 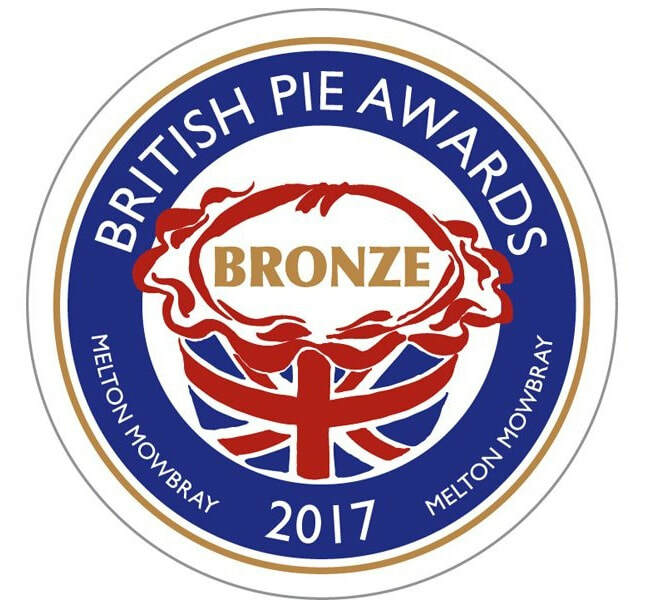 If you know of an event where you would like to see our award winning pies just call Steve directly or drop him and email through the contact page. 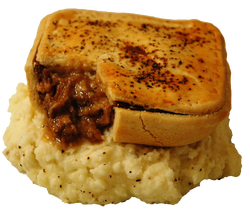 Now available in Milton Keynes and across the Midlands - Eat Square's award winning pies. Ideal for restaurants, pubs and social and sports clubs, you can order direct from Steve and get delivery once a week as needed. 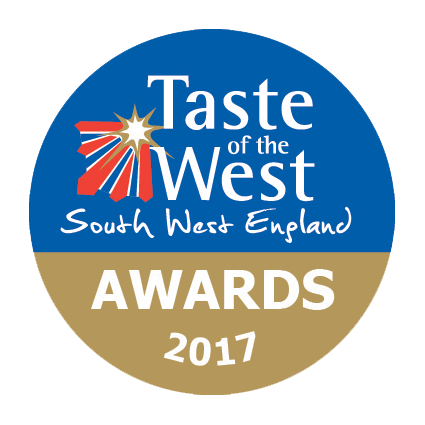 Eat Square offer our traditional pies, pasties and sausage rolls, as well as gluten free pies and a selection of vegan pies too. Ask us for some free samples and a price list through the contact page. Give your guests a treat with tasty hot pies. You may want to give pies away at a private event or create more income from a public event. Hot pies always go down well. 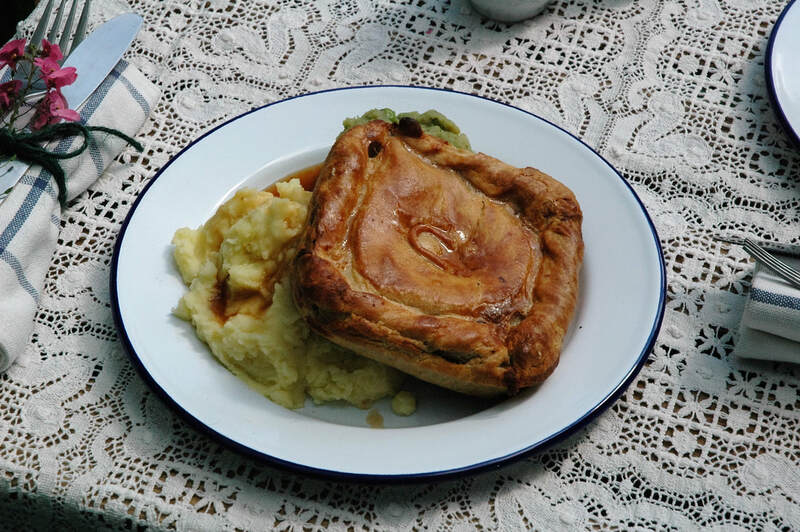 Our Classic Pies are particularly suitable for events and designed to be eaten in the hand. In Australia they are known as "Hand Warmers" and for good reason in the winter at an out door event such as a sporting fixture. You can have the Eat Square team serve for you or just buy pies and borrow a pie warming cabinet. Just click here to send us a message asking for details and prices. More people are looking for authentic food at their wedding. 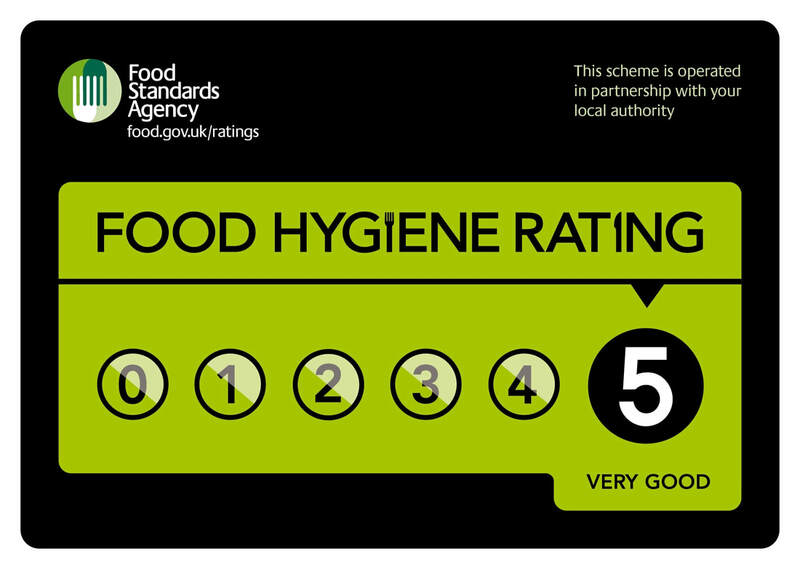 Not only do you give people quality local food but you also give them a good feed. 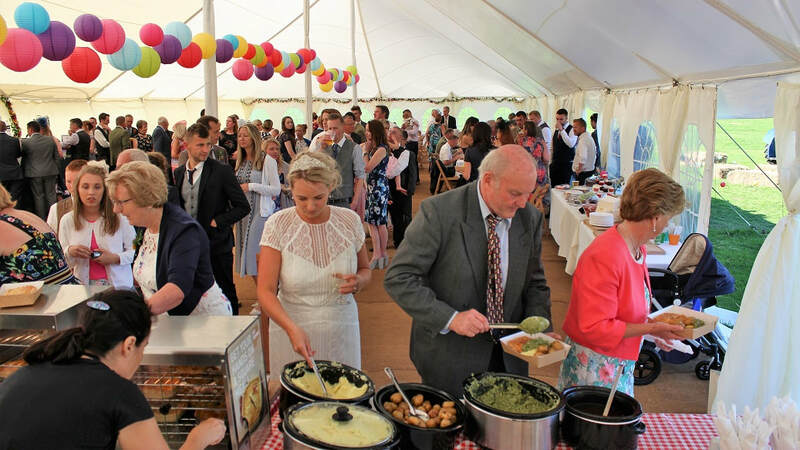 With prices per head for weddings from £10 you can see why more and more people are going for pies at weddings. 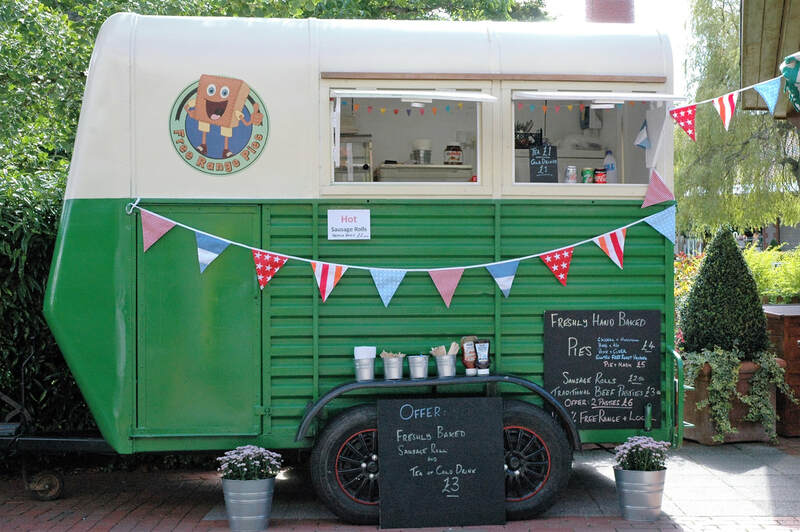 Our converted horse box catering trailers are available for event catering, weddings and corporate functions. Add classic rustic charm to your event by booking one of our self contained trailers. These work anywhere there is vehicle access we can provide you with a stylish trailer to cater your event. Click to see more details. Eat Square is based on a farm. We are used to rural Wiltshire and working here with all its challenges. No matter where your event Eat Square can cater it. We have worked in wildest Wales, deepest Somerset, car parks, fields and even on boats. Just fill in the form above or get in touch through the contact page.